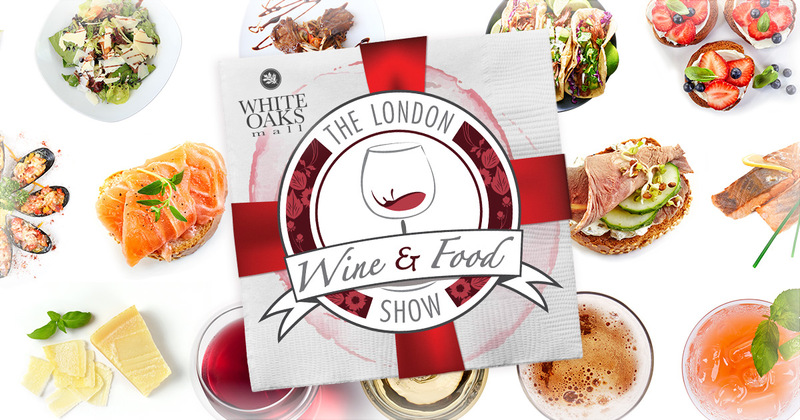 London’s most anticipated night out is just around the corner as the 12th annual Wine and Food Show, presented by White Oaks Mall, returns to Western Fair District. Three days dedicated to sampling the finest foods, wines, spirits, and beers, while being entertained by everything from stage cooking presentations, tasting seminars, music, fashion shows and more. Thursday kicks things off with Connoisseurs’ Night. Whether you’re a wine connoisseur, foodie or somewhere in between, Thursday is a chance to experience the tastiest day of the show, crafted specifically for those passionate about wine and food. On Thursday night only, guests can take in the sounds of Eh440 an A Capella group with just a beat boxer, bass vocalist, and three very different lead singers. Friday night is once again Ladies’ Night! Be one of the first 200 ladies through the door and receive a gift bag sponsored by Shoppers Drug Mart and Smashbox. Ladies’ Night will also feature London’s own firefighters’ fashion show as they take the stage and strut their stuff. Saturday, is the day for show-goers to spend a full day experiencing all the show has to offer. Starting at noon and running until 10:30pm, it is the last day to take in the treats, drinks and eats from one of the 100+ exhibitors, sit in on one of our tasting seminars, check out stage presentations or be entertained by live music on stage or in our Country Saloon Lounge. The 2017 London Wine & Food Show will feature even more entertainment than ever before, with five stages filled with food, music, tastings and demos plus five themed lounges to relax in as well as tasting seminars, industry experts, food connoisseurs, expert chefs, performers and fantastic exhibitors all three days of the show. Back by popular demand, our reigning king of mixology Jeremy Parsons returns! Jeremy will demonstrate how to add some flair to your party by creatively mixing the perfect cocktails to wow your guests. From new twists on classic cocktails to combos you’ve never heard of, Jeremy will find you the perfect mix for your palette. With just a beatboxer, bass vocalist, and 3 very different lead singers, this means that they are technically an ‘a cappella’ group but most people think of them as something very different. London’s own firefighters take the stage and strut their stuff as they show off the latest in formal wear fashions - don’t miss this London Wine and Food Show staple! Presented by Collins Formal Wear & Sophie’s Gown Shoppe. Can we get a yeehaw!? Step into the Country Saloon presented by Jack Daniels, Bull & Barrel and Country 104 to enjoy country music with live acoustic sets on Saturday, get your photo taken at the Trackside photo booth, and sample some good ole’ Jack Daniels Whiskey, craft beer and more! Caitlin Hallett, Kassandra Hallett, Stephanie Varriano and Rachel Varriano have played together as It’s A String Thing, providing elegant, live string quartet music for a variety of events since 2006. Due to the delicious success of last year’s Fanshawe Demo Stage, it has expanded to include a 2nd, musically focused stage! On the Demo Stage you’ll learn new recipes, take a tour of the Mediterranean, discover the fine art of sugar sculpting, and partake in a beer tasting demonstration and so much more. In between demonstrations you’ll be treated to the sounds of the Fanshawe Industry Arts Program on the Fanshawe Music Stage. Limited tickets available. We recommend purchasing your tickets well in advance as this event has sold out in the past. Tickets can be purchased online, in person at guest services or by calling 519-438-7203. Advanced tickets available until 11:59pm January 18th, 2017. Includes 2 Admissions + 30 Sample Coupons. Available in Advance Only. Sample coupons can be purchased at the show or online for $1 each. Drink sample prices are set by the exhibitors and can range from 1-5 coupons each. Must be 19+ years to attend. No babies, toddlers or children at the show.